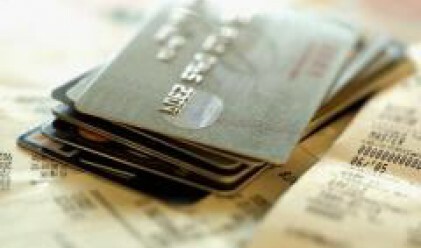 A report reveals that the number of credit cards in Central and Eastern Europe (CEE) more than tripled in the two year period up to the end of 2006. Credit card holders in CEE numbered 27 million in 2006. The total number of payment cards (including debit, charge and credit cards) has grown by 64% to 187 million in 2004-2006. According to the report, debit cards are the most widely held type of payment card in the region, representing 83% of all cards in issue against 52% in Western Europe. However, debit cards share of the market has decreased from 90% in 2004 to 83% by the end of 2006. This was caused by the increase in credit card, which more than tripled between 2004 and 2006, reaching 15% of total cards in the region. In all 13 markets, the number of credit cards grew from 8 million to 27 million between 2004 and 2006. Poland, Russia and the Ukraine account for about two thirds of these cards and for much of the new growth over this period. The report says there are on average 74 payment cards per 100 adults in CEE, compared to 203 in Western Europe. Nine countries in the region now have more payment cards than adults, while the average across the region is just over half a card per adult. In Croatia and Slovenia, there are more than two payment cards per adult. Russia is the largest market in absolute terms, but has the second lowest card penetration. The report also mentions that banks control cards issuing, with 98% of payment cards issued. Travel & Entertainment cards (T&E cards) and private labels cards number only 2% of payment cards issued (each with 1%). Between 2004 and 2006, the number of POS terminals increases by more than half reaching 700,000. Nonetheless, there are big differences when it comes to the installation rates in each of the 13 countries surveyed. Russia and Poland have both over 140,000 terminals, while the other CEE markets have less than half the number. Slovenia has the highest POS terminal density, with some 21,000 terminals per million population and Croatia and Estonia are the only countries where the density exceeds 10,000 per million population. VeriFone is the largest POS terminal manufacturer in the region, with just over half the terminals in the market. VeriFone terminals are predominant in the Polish and Russian markets, while Hypercom and Ingenico are in second and third position respectively, with shares of 21% and 11%. The 13 surveyed countries have reached different stages in their adoption of EMV standards. Slovakia and Slovenia only started this process in 2004 and Romania in 2005. Baltics countries lead EMV migration, with Estonia leading in terms of the number of EMC cards issued. The EMV implementation in Estonia has been helped by the small size of the country. Similar processes have been observed in the other Baltic countries, Latvia and Lithuania, with approximately 60% of cards being EMV compliant. In absolute terms, Russia leads having reissued 4,5 million such cards by the end of 2006. Bulgaria, Romania and Ukraine lag behind in EMG migration. Czech Republic, with 70% of POS terminals having been upgraded, is the most advanced in terms of terminal migration. Estonia follows with two thirds of the national terminal pool switching to EMV compliance. Few ATM’s in Poland, Romania and none in Hungary had been upgraded by the end of 2006. CEE accounts for 5% of the total number of international debit, credit and charge cards issued worldwide, reaching 167 million at the end of 2006, nearly double the 2004 figure. Visa Electron and Maestro were the most widely held cards, together accounting for 77% of international cards, and two thirds of all cards issued in the region. American Express and Dinners Club have only a niche presence in the CEE region, with a combined total of some 1.5 million cards issued.